For a while now, I’ve been wanting to connect the wealth of musical performance schedules on MySpace to the elmcity calendar project. For example, here’s the MySpace page for Jatoba, three young guys from Brattleboro whose eclectic, high-energy, acoustic string instrumentals and vocals have inspired me the couple of times I’ve seen them around town. As is typical, there’s a calendar on their page. 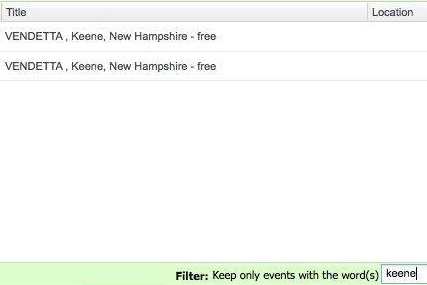 So I should be able to plug its iCalendar feed — and more specifically, the Keene-based performances in that feed — into the Keene calendar hub. 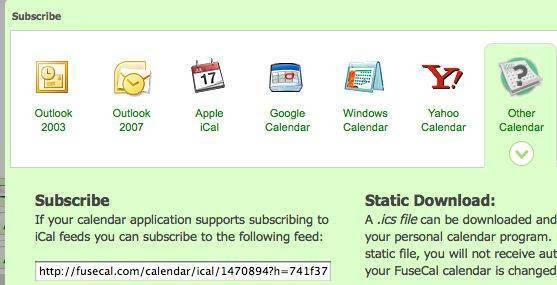 But MySpace doesn’t export iCalendar feeds. What to do? 7. Bookmark the FuseCal URL. Now Jatoba’s Keene performances will appear on the elmcity calendar, courtesy of FuseCal and Delicious. And neither MySpace nor Jatoba had to get involved. The web’s funny that way. 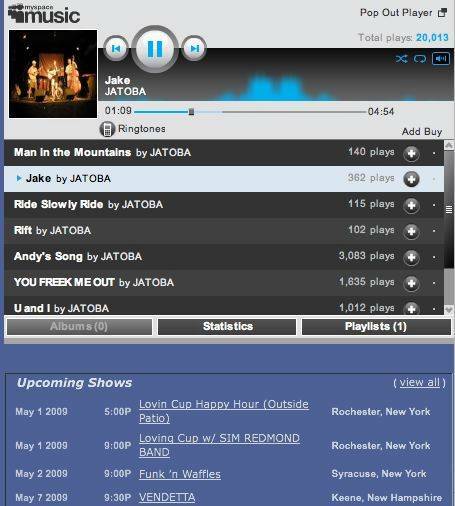 We’re not tracking every band, of course, but we happen to be already tracking Jatoba’s shows. Right now the iCal is only location-specific, just because I haven’t gotten around to adding iCal for bands yet. 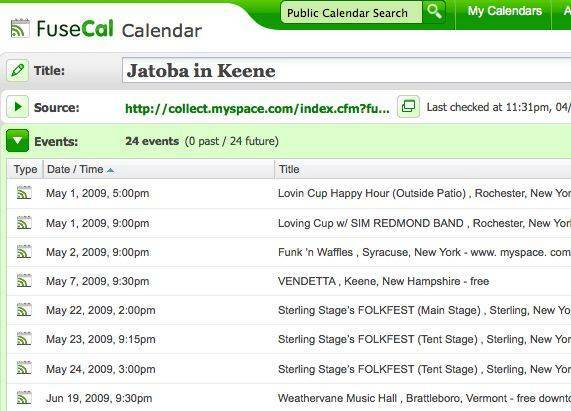 But location-specific seems to be more what you’re going for anyway, as people in Keene don’t necessarily care if Jatoba is playing in Tokyo, right? I’d be happy to hear any feedback you have. This reminds me of the Loose MP3 mashup and it’s just as valuable if not more so. 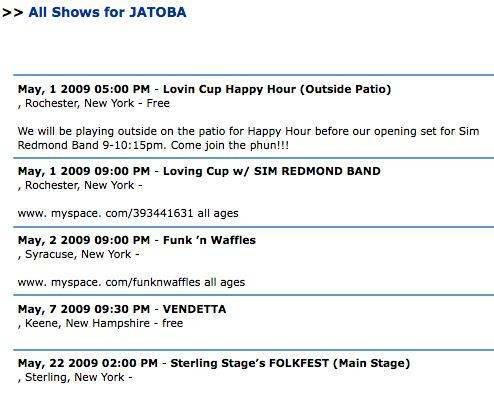 I also notice that the band is playing “Funk ‘n Waffles” in Syracuse ;-) Thanks for posting this. This is very cool, but I’m wondering if anyone has found a way to go the other way and create MySpace events from an iCal file or RSS feed. Thanks! Previous Previous post: Proximity search in Google and Live?